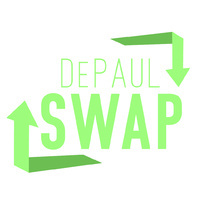 DePaul SWAP is a rummage sale that began in 2009. It raises money to assist DePaul students in need. The initiative also aims to educate students on how upcycling their items can help reduce waste, as all items left over are donated to Chicagoland nonprofits.